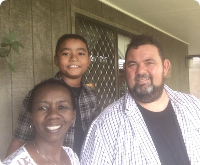 Pastor David and Wendy Smith are the senior pastors of an Aboriginal Church in Cardwell (north of Townsville) and their enthusiasm for God has seen them further develop and train the Aboriginal ministries and outreaches throughout North Queensland. Before leaving for Cardwell, David and Wendy spent over 10 years as the associate pastors of Beaches Church. They inspired, encouraged and influenced many members of the church and also the surrounding community. Pastor David and Wendy Smith are an experienced missionary couple, particularly in the Aboriginal ministry. They both have a high understanding of the unique Aboriginal culture and enjoy life in the mission field. If you would like further information about Pastor David and Wendy Smith, or you would like to help support them through prayer, supplies or financial need, please contact us. 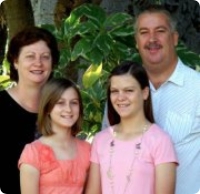 Pastor Brett and Val Durant, together with their daughters, Haylee (12) and Kacie (11) arrived in Kununurra in May 2011. Prior to this they spent 2010 in Halls Creek, WA, doing a year of training in cross cultural ministry, with AAOM (Australian Aboriginal Outreach Ministries Inc.). Pastor Brett & Val Durant are now the senior pastors of Living Waters AOG Church in Kununurra, Western Australia. They work together with AAOM to provide a culturally relevant, life changing experience for the indigenous people. The Durant's consider it their mission to change communities one life at a time, through the blood of Jesus Christ and the power of the Holy Spirit. If you would like further information about The Durant Family, or you would like to help support them through prayer, supplies or financial need, please contact us. Pastor Christopher and Angela Shadbolt lead a team of full time Zambian evangelists for TTN Ministries (To The Nations Ministries). Ps Chris, a missionary from Australia and Angie from Zambia, worked with and were trained by the Salisbury family in Zambia for almost 10 years prior to heading up the TTN team. The TTN team and their families share the Gospel, make disciples, train leaders and plant churches. They are based in Zambia, reaching out across Southern, Central and East Africa. Their mission is to see God radically transform peoples lives as they trek across the heart of Africa - through Zambia, D.R. Congo, Tanzania, Mozambique, Angola, Namibia, Botswana, Zimbabwe and Malawi. If you would like further information about Pastor Christopher and Angela Shadbolt, or you would like to help support them through prayer, supplies or financial need, please contact us.